Sony Xperia Z1 Price in India unveiled at Flipkart, it’s Rs 42,999 – Pre order now! You are here: Home / Sony / Sony Xperia Z1 Price in India unveiled at Flipkart, it’s Rs 42,999 – Pre order now! Sony has just updated the Xperia smartphone lineup with its latest high end product named Xperia Z1 which is an upgraded and better version of Z. The main feature in the Xperia Z1 is its rear camera which holds Sony’s pioneer G lens technology. The device which was launched on September 4th is now going to hit retailers in the last week of September. 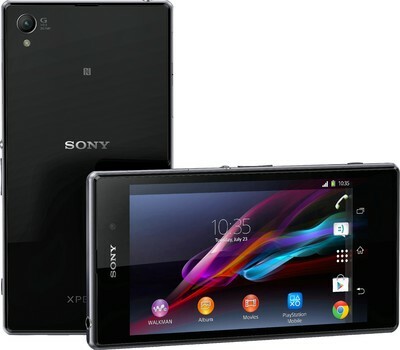 As Xperia Z1 is the latest and best smartphone from Sony so users are already searching for its price and day of availability. If you too are waiting for Z1 then I’m going to provide the actual price you need to pay to buy Xperia Z1 and also the day when you can see it live. Flipkart, which is a leading online shopping portal in India has recently listed Xperia Z1 price in India. Sony is going to provide it in three color options i.e. black, white and purple. But Flipkart has listed the black colored Z1 at a price of Rs 42,999. So this is the actual price of Sony Xperia Z1 in India. You can look for discount at local shop. 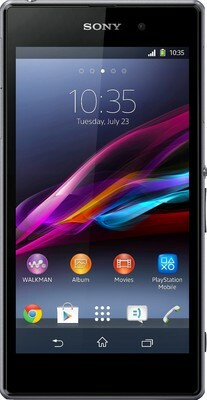 There is one more smartphone available at this price range from Sony i.e. Z Ultra which I recently reviewed. If you want to have a bigger display smartphone or a tablet having compact size and calling feature then Z Ultra is best for you. These are the high end specifications of Z1 but there are lots of new features in it. The main feature is the 20.7MP camera at rear which uses Sony’s G lens in the middle and set to autofocus. It got touch focus, image stabilization, video stabilization, HDR, panorama, face detection like features and off course a bigger sensor to capture more light. The LED flash is also there to support photography in low light conditions. For video calling, 2MP camera at front is also there. The display uses Sony’s Triluminos display technology and runs on X-Reality engine which brings out the best combination of display quality for smartphones. The X-Reality engine was recently released for Z Ultra and now Z1 is also going to feature that. This simply means that Z1 has got a gorgeous display to enlighten your content. The Z1 is bundled up in a metallic frame thus having more strength and stability in case of mishandling. This metallic frame wasn’t there in the Xperia Z so it’s another reason to upgrade to Z1. This was the story of the day! You can buy Xperia Z1 in India at a price of Rs 42,999. The device is yet not available but you can pre-order it on Flipkart and they will start shipping Z1 from the last week of September. The launch price seems pretty good considering the features and the hardware available on the Z1.